well it must have been' devastating' to lose Primark for four months I wonder did she tear the place asunder LOL it was a really beautiful building though . Theres a lot of lovely architecture in Belfast .isn't MCDonalds in a listed building ?? it was a lovely building hope it looks just as nice . Im probably a bit strange but I used to walk around Belfast just looking at the architecture as a teenager and especially at night time when it was so beautiful with the lights of the city .. when i came to London at 19 I spent most weekends exploring London as I knew no one and it also did me good to get to know/experience the place where I would be living for the rest of my life . I would go to museums /galleries (free) and learn something and people watch ..I love the Ulster Hall building it is beautiful and also have good memories of going to concerts there . "Belfast New Look store closing as Primark set to open"
"Fountain House, where New Look has operated from for the past 11 years"
"Fashion retailer New Look has announced it's shutting its Belfast Donegall Place store this month, making way for a new Primark"
"New Look said it will shut the flagship on January 15, but has not yet said if it's relocating elsewhere. " "The company has not returned a request for comment but according to posts on social media from staff, between 60 and 70 staff will be made redundant." "New Look has around 20 shops in Northern Ireland, including one store in the city's CastleCourt Shopping Centre, but it closed its Forestside Shopping Centre store in November." "New Look last year announced a programme of closures as part of cost-cutting." 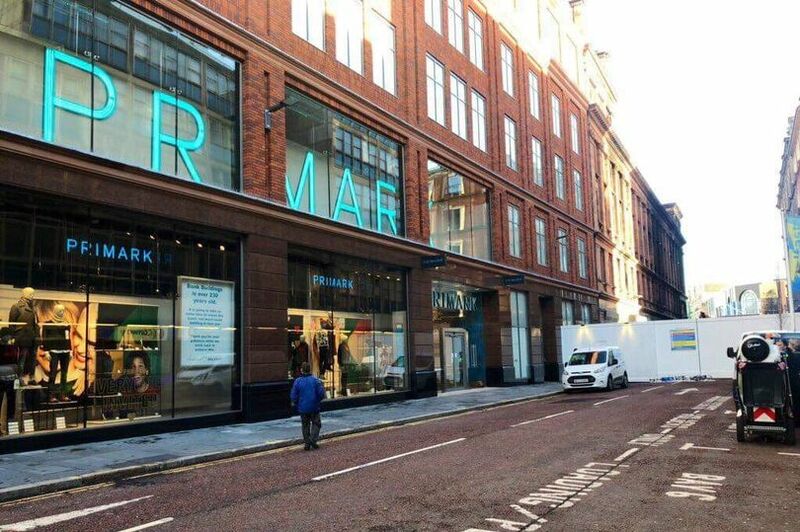 "Primark last month confirmed its plans to open in Donegall Place in the spring, following the launch of a shop at the back of its Bank Buildings unit, which was destroyed in a fire at the end of August." "New Belfast Primark store enjoys strong first month"